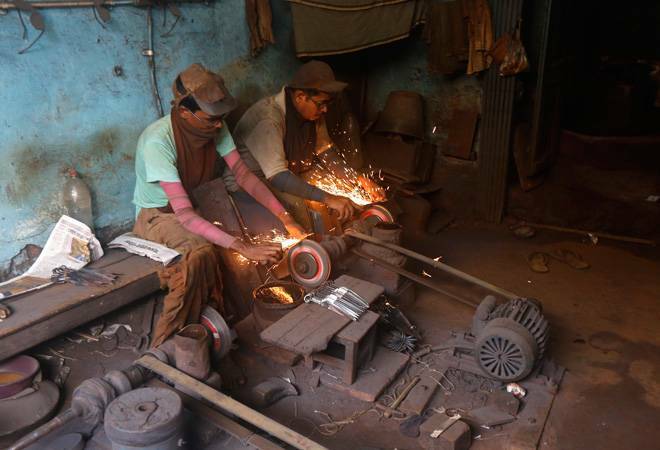 Factory output growth measured in terms of the Index of Industrial Production (IIP) was revised upwards for May at 3.9 per cent from previous estimate of 3.2 per cent estimated earlier. Industrial output recorded a four-month high growth rate of 7 per cent in June on account of higher output in mining, manufacturing and power generation segments. Factory output growth measured in terms of the Index of Industrial Production (IIP) was revised upwards for May at 3.9 per cent from previous estimate of 3.2 per cent estimated earlier, according to data released by the Central Statistics Office (CSO) today. The cumulative growth for the period April-June 2018 stands at 5.2 per cent over the corresponding period of the previous year. The manufacturing sector, which constitutes 77.63 per cent of the index, grew by 6.9 per cent in June, as against a decline of 0.7 per cent in the year-ago month. Power generation segment saw a rise of 8.5 per cent during the month as compared to 2.1 per cent growth a year ago. The mining sector output recorded an impressive growth of 6.6 per cent in June as against 0.1 per cent in June 2017.